It is in the Presidio of San Francisco, California, that Leslie Carol Roberts walks. The Presidio, America’s only residential national park tucked wholly into an urban setting, is a fading historic forest. Here is where Leslie’s memories of other places, people, and travels emerge. Here is where the author’s home has been for more than a decade, and here is the place she raised her two children as a single mother. In layered stories of her life and travels, Leslie turns her daily walks into revelations of deeper meaning. From Maryland to Iowa to Tasmania, we follow a fierce and keenly observant walker through places of exquisite beauty and complexity. Her daily walks inspire Leslie to accept the invitation of the beckoning trees where she finds herself colliding with the urban coyote, the peculiar banana slug, and the manzanita. She also notes both ridiculous and poignant aspects of human ecosystems in pursuit of what it means to live a life of creativity and creation from scientist-activists battling to save environments to the tragic realities of ordinary life. In this finely crafted eco-memoir, each place provides Leslie with exactly the scaffolding needed to survive, with nature serving as the tonic. 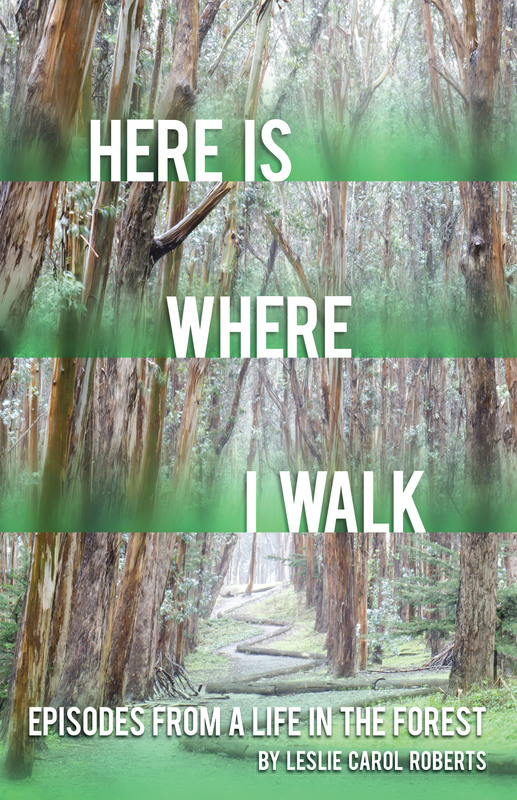 Here is Where I Walk provides a vivid answer to how we can find our place, not only in nature but within ourselves and the world we walk.